Obituary for Doris LaVallo | Compassionate Funeral Care Inc.
HERKIMER- Mrs. Doris LaVallo, age 86 a lifelong resident of Herkimer, passed away peacefully on Sunday evening, December 2, 2018 at the Wesley Healthcare Center in Saratoga Springs, NY. Being with family is what Doris treasured the most. Many good times were spent together with at home parties, barbeques and at the Saratoga Race Track to mention a few. 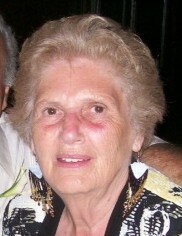 Doris is survived by her children, Charlene Perruccio and her husband Nick of Gansevoort, Michelle Masten and her husband Craig of Gansevoort, Anthony LaVallo Jr. and his wife Debbie of Frankfort and Steven LaVallo; her grandchildren, Carly Brackett and her husband Robert, Catherine LaVallo and Jay Aiello, Tony LaVallo, Andrew Masten and his wife Ashleanna and Gregory LaVallo; two great-grandchildren, Lucy Brackett and Sam Aiello, and several nieces and nephews, her sister-in-law, and dear friend, Mary LaVallo. Doris is predeceased by her beloved husband Anthony of 62 years, her sister, Francis Petrecelli and brothers, Charles Richards and Bob Richards. A private memorial service will be held on Tuesday, December 11, 2018 from 11:00 am – 12:30 am at Compassionate Funeral Care, Inc, 402 Maple Ave. (Rte 9 and/or Marion Ave.), Saratoga Springs, NY. The family would like to thank the staff on 2V and S5 at the Wesley Healthcare Center for their care and kindness given to Doris.